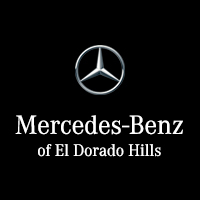 If you are buying a new or used vehicle, Mercedes-Benz of El Dorado Hills assists El Dorado Hills, Shingle Springs, and Placerville residents throughout the entire purchasing process. We’re here to support the long-term health your vehicle by performing routine service and providing genuine Mercedes-Benz parts. Our team of certified master technicians are passionate about what they do, and they’ll ensure that your vehicle runs like new. Customer dedication at Mercedes-Benz of El Dorado Hills was inherited from the Von Housen Auto Group founder, George Grinzewitsch Sr. When he arrived from Germany in 1954, his dedication and love for cars sparked a relationship with Mercedes-Benz. He was even a top-notch professional racer throughout the late 1950s. As his business grew, branches sprouted to serve more areas in California. In 2003, our current residence was built to reach the ever-growing community of El Dorado Hills and its surrounding areas. To see how our experience can assist you in finding a new or used vehicle, contact us today. Sacramento, Elk Grove, Carmichael, Fair Oaks, and Davis drivers make Mercedes-Benz of El Dorado Hills their first destination no matter their automotive requirement. We’ll provide a first-class experience from the moment your step through our doors, then continue offering sterling service throughout the life of your model. The three-pointed star of Mercedes-Benz represents a hallmark of quality, luxury, and performance all across the world. A stunning array of new models graces the showroom at Mercedes-Benz of El Dorado Hills, from sleek convertibles like the SLK to rugged SUVs like the GLS. For a classic model, try our Certified Pre-Owned selection. Each one has been painstakingly inspected to ensure they meet our own unfailingly high standards. We fit financing around your lifestyle, offering flexible lease terms with First Class Lease or flexible loan packages when you buy. We’ll keep things as hassle-free as possible. You can even take advantage of the Auto Pay option to have payments directly deducted from your checking account. No need for monthly check writing and mailing. Mercedes-Benz models are a cut above your average vehicle. Each one is finely crafted by experienced hands using only the finest parts, so you should demand nothing less than the highest service standards throughout your vehicle’s life. That’s exactly what you’ll receive from our certified technicians. They know these vehicles inside and out, and you can benefit from their skills in an hour or less thanks to our Express Service. Nothing quite compares to viewing our stunning selection of Mercedes-Benz vehicles in person, so don’t hesitate to visit our showroom today. If you require assistance with anything from servicing to sales, our customer service team is just a phone call away.